The following two pages are from a NZ Post Office engineering lecture for trainee radio engineers. The document, dated January 1960, is courtesy Chris Underwood. 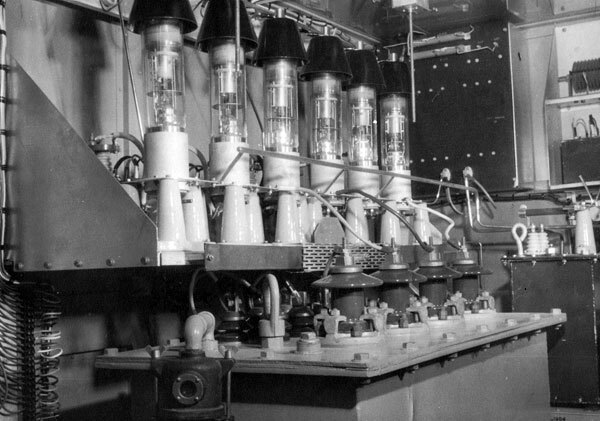 Himatangi Radio, probably late 1966. 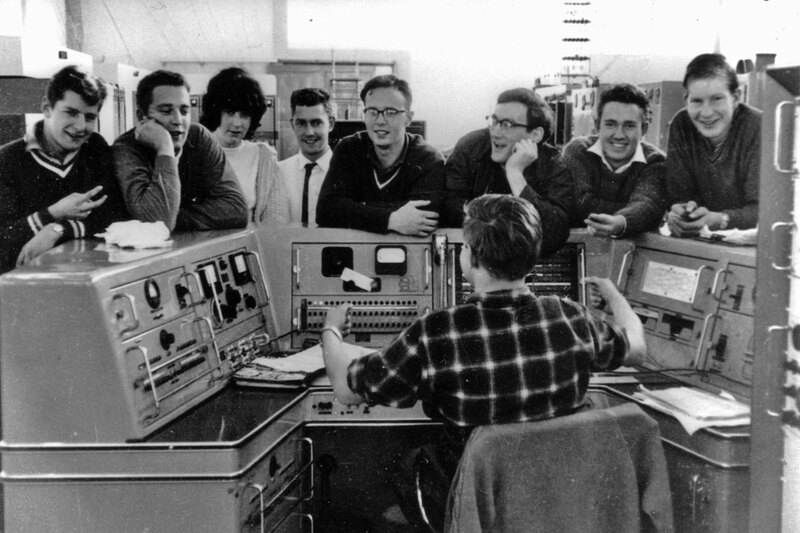 Noel McConachy at the control console, talks with L-R: Neil Crawford, Ian Wilton, Rose Peterson, Noel Beech, Leith Baker, Stan Hood, Chester Clark and Bruce Davenport. Photo: Bob McCrae. Click to enlarge. 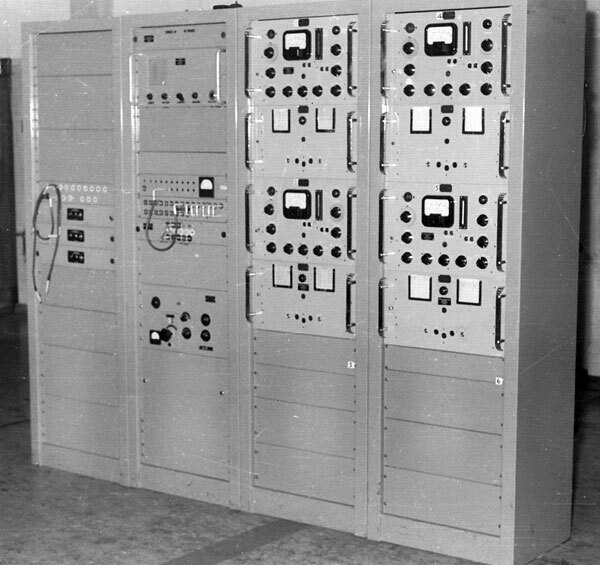 In the photograph above, a floor-standing rack has been added to the right of the console. 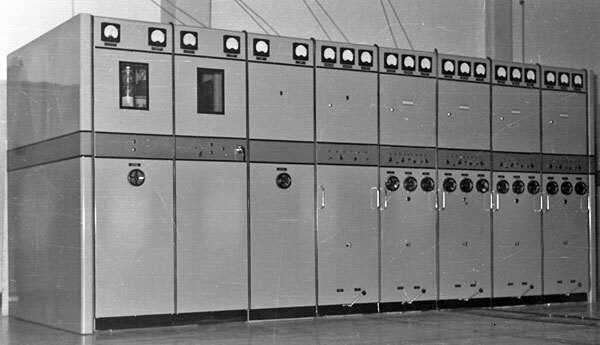 Barely visible at desk height in this rack is a Racal RA-17 receiver. At that time of the above photo the drive room was being constructed. Once complete the Racal was installed in the drive room. 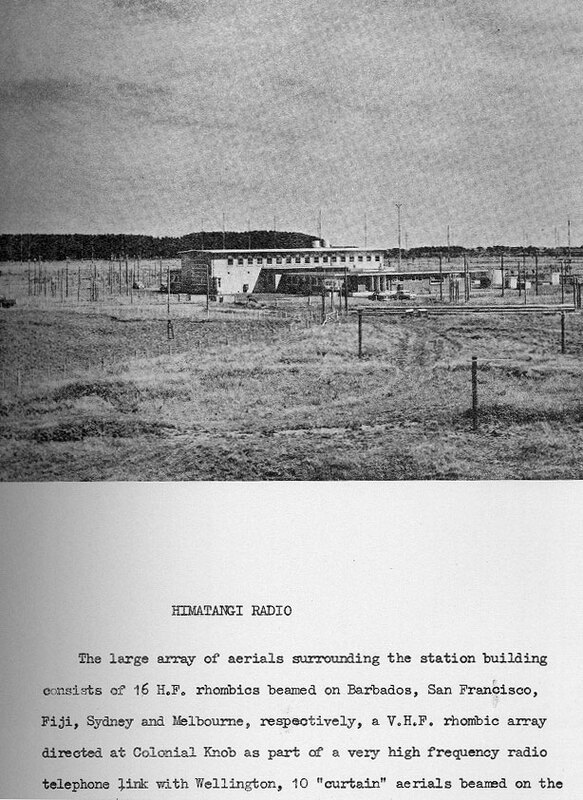 The Racal was not a lot of use at Himatangi because of the huge amount of local interference but I guess it was there for propagation reasons. Radio Hauraki was listened to for the pop music mainly by us young guys on shift. 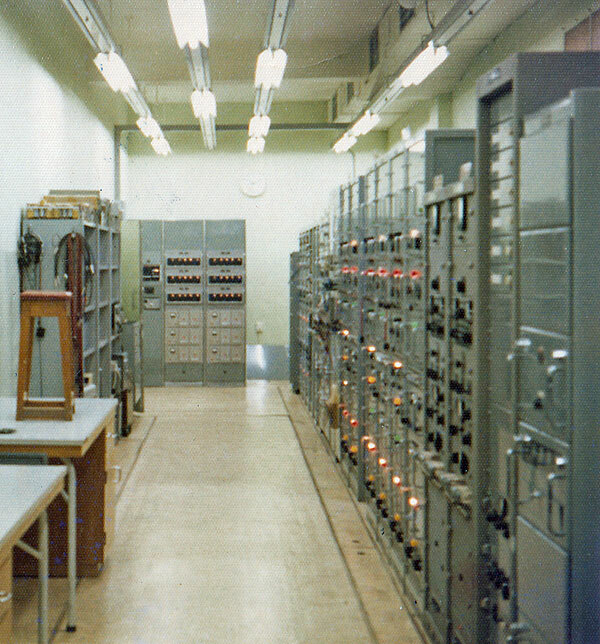 The shielded Drive Room was added alongside the Transmitting Hall prior to my arrival in 1968. At that stage the Racal receiver was relocated to where I remember it. 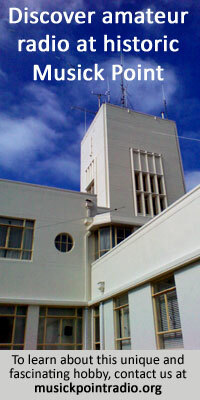 Memories of Radio Hauraki are vague but I think it came and went as the layers moved around – certainly only at night. Management was the other reception impactor. 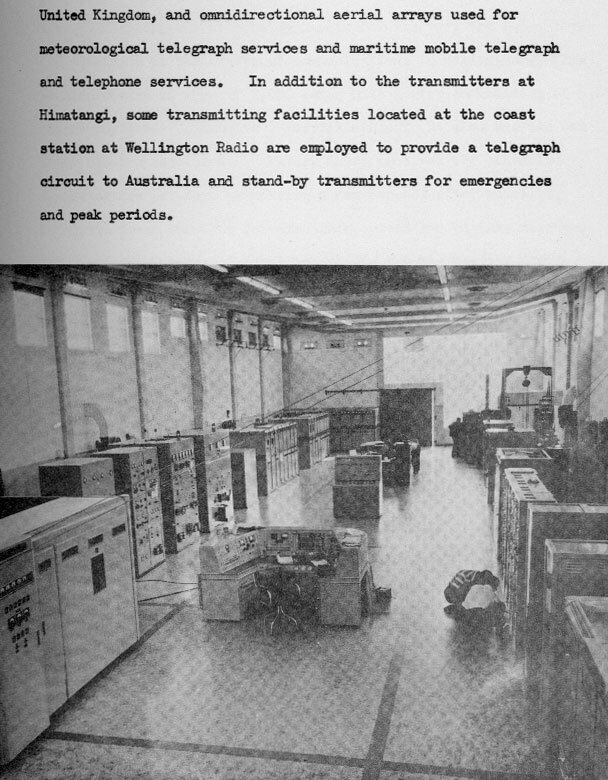 1968: On 10 April the Wahine storm damages the roof of the transmitter hall at Himatangi Radio.